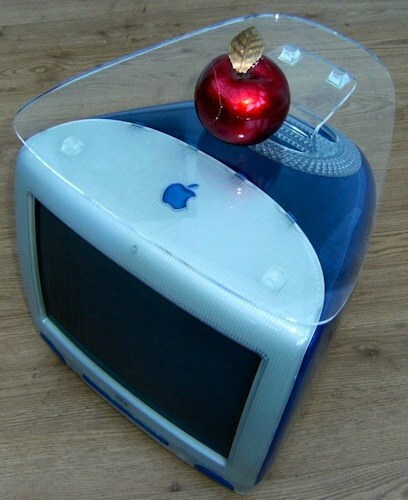 Got an old iMac laying around? Turn it into a coffee table! If you have an extra Bondi Blue, Flower Power, or any of the other candied iMac G3’s laying around, hey, why not turn it into a coffee table? Maybe you could put your iMac typewriter on it? Yup this is real, and yes of course you can buy one for £49.00 (not sure if they ship to the USA) from UK-based MacTechnology. And while you’re at it, check out our other fun and quirky Mac stuff. What is this? Home Decorating for Geeks?